These links have quality products for sale and inspire to create art, clothing, and objects and anything else "...as genuine as your own." My hope is that what is offered here will stimulate and inspire. There is nothing like the ability and sheer fun of creating or owning a unique handcrafted item. Pooler. Georgia Homepage is a local-to-global Web portal that goes far beyond your typical destination guide. This web site that is food for inspiration, a collection of many, many subjects from traveling to Pooler and the world, to thought. Keep a pad and pens ready. You may want to take notes or sketch. to encourage and nurture creativity and provide all the tools necessary to be crafty. How much is your web site worth? Take a look and compare it to others that are similar in content. 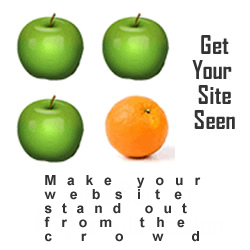 Is there something you can do to make your web site more successful? Looking for Completely Unique Gifts for your loved ones? Look no further! This website will help you find something totally unique and exciting, for any occasion. Rita's website is to help people to feel better, and giving is a great way to accomplish just that! Cartoon sculptures that are as unique as your DNA! Perfect gift for art and cartoon lovers, or for someone who wants a sculpture of him/herself. They make unique, unusual personalized gifts. There is an interesting blog where people can talk about art, cartoons, and gifts ideas. This site offers consumer reviews and ratings of the best sewing machines available today to help you find the right one for your home. People int crafts, like myself, tend to have more than one. This site is a great resource. Very useful stain removal advice for almost every spot known to man! Solutions are offered for clothes,fabrics, carpets and upholstery. How to remove art and crafts products are included. StormTheCastle.com Fantasy Art School - all kinds of lessons on drawing fantasy art figures, scenes and more. This is a beautiful site where you can create your own clothing and even art! Become Knitter In A Day! Learn basic knitting stitches with fun and easy knitting instructions from casting on, knit, purl, decrease knitting,increase knitting, ribbing, cable knitting, binding off and much more. Learn how to knit and practice easy knitting patterns for beginners along with written and video instructions. Visit a great site filled with beautiful objects. Find unique gift ideas and decorative home and outdoor decor and accessories. We carry everything from candles to ethnic decor from our online store at G&K Gifts.